Leander Paes is one of the most famous professional tennis players from India, who brought the country to the limelight in international tennis. He has also captained the Indian Davis Cup team during his illustrious career. His biggest claim to fame is that he is the oldest man to have lifted a Grand Slam title in history. Income Sources: Besides his income from tennis, Leander Paes endorses brands like Adidas and All India Football federation. Marital Status: Leander Paes had a relationship with leading Bollywood actress Mahima Chaudhary, but it did not work out. Later, he was involved with Rhea Pillai, the ex wife of Sanjay Dutt. They had a live in relationship and Rhea gave birth to his daughter. The two of them broke up recently and Leander is now a single father. 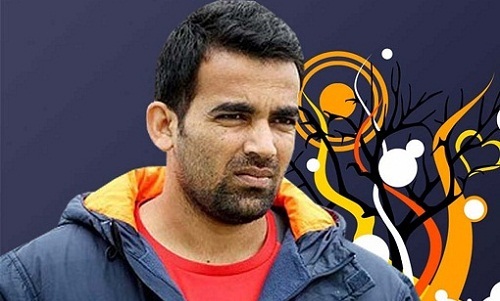 Leander Adrian Paes was born in Kolkata and got sports in the legacy from his Goan parents Vece Paes and Jennifer Paes. Vece was a professional hockey palyera nd a part of Indian hockey team which featured in 1972 Olymoics, while Jennifer Paes was the captain of the Indian basketball team in the 1980 Asian Basketball Championship. 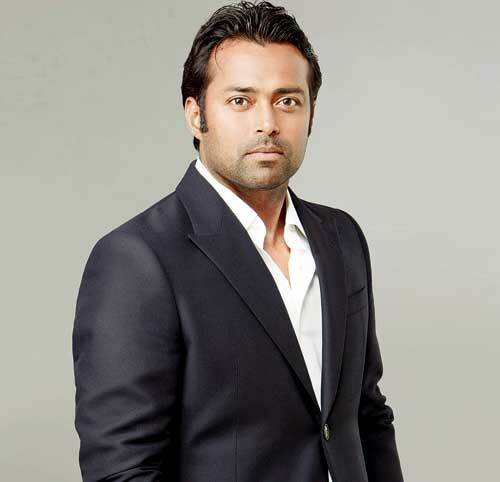 Leander started playing tennis at a young age and received his professional training at the prestigious Britannia Amritraj Tennis Academy, Madras, which he joined in 1985. He came into limelight by lifting the Wimbledon Junior title in 1990 and went on to hold the number one spot in world junior ranking for some time. Besides being the top tennis player in the country, Leader Paes has been in news for other reasons too. His affair with actress Mahima Chaudhary and later with Rhea Pillai landed him in controversial situations. The legendary tennis player could not resist a dose of glamour and was seen in a Bollywood movie called “Rajhdhani Express”. Paes is a leading member of the Olympic Gold Quest program launched by Foundation of Sports and Games, which works on athletes with the potential to bring gold medals for the country in the Olympics. Leander Paes is the leading Indian tennis player, who has done a great job by bringing home eight doubles and six mixed doubles Grand Slam titles during his career. Leander Paes turned pro in 1991, when he joined Ramesh Krishnan as a doubles partner but it was his partnership with Mahesh Bhupathi which turned out to be a really fruitful one. He was the number 1 player in doubles world ranking for a long period of time. Besides a number of Grand Slam victories, this prodigious tennis star clinched a bronze medal at the Atlanta Olympics 1996, winning the first individual medal for India in 40 years. He created history at Wimbledon 1999, by winning both the doubles as well as mixed doubles titles in the same year. His awards and honors at the national level include the Rajiv Gandhi Khel Ratna Award (1996-97), Arjuna Award (1990) and Padma Shri (2001).